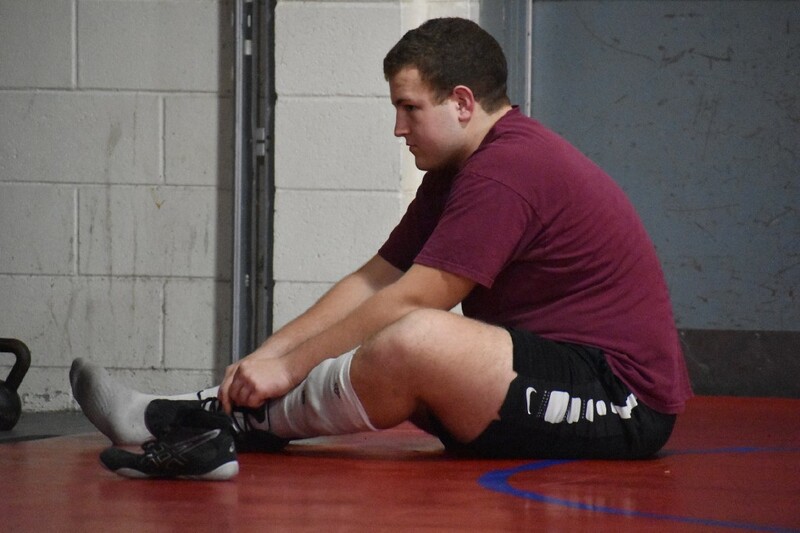 In an act of selflessness, Washington Township junior scholar athlete Jack Dunn volunteered to compete against a wrestler with disabilities last month. If you’re a rabid South Jersey high school wrestling fan, December was a tough month. At one school (Schalick, in Pittsgrove Township) a program was canceled for the remainder of the young season after a heinous hazing incident. At another (Buena Regional, in Atlantic County) an athlete was made to cut off his dreadlocks because the referee, coaching staff and administrators all managed to fail him at the same time. It was easy for other stories to get lost in December, including one involving a Washington Township High School junior named Jack Dunn. But Dunn’s story — a positive one in the midst of a tumultuous month — is surely worth telling, too. The 17-year-old Dunn, a scholar-athlete who also stars for the Minutemen in football, volunteered to wrestle a special needs student from Howell High School at the John and Betty Vogeding Tournament in Paulsboro during the first weekend of the season on Dec. 15. Dunn, despite losing his first two matches earlier in the day, stuck to his word and took the mat against his Howell opponent. It was perhaps the most admirable performance for a prep wrestler who technically went 0-for-3 on the afternoon. Washington Township head coach Eric Ring said the Howell coach had brought up the idea during a coaches’ meeting before the start of the tournament, hoping someone would volunteer. South Jersey wrestling stories in December, it did gain traction when the Minutemen coaching staff posted a video of the bout on their Twitter account. The video tweet got more than 200 retweets, more than 1,000 likes, and nearly 42,000 views. Dunn has been unaffected by his quasi-internet celebrity. Dunn is doing just that for his school, his wrestling team, and for his younger siblings, too. His younger brother, Connor (eighth grade), and younger sister, Casey (seventh grade), will be following him into Washington Township in the next two years. Dunn credits his parents (Nicole and Seth) and his faith for his maturity and selflessness. “I’m firm believer in religion so I look at the Bible and I try to follow that,” Dunn said. 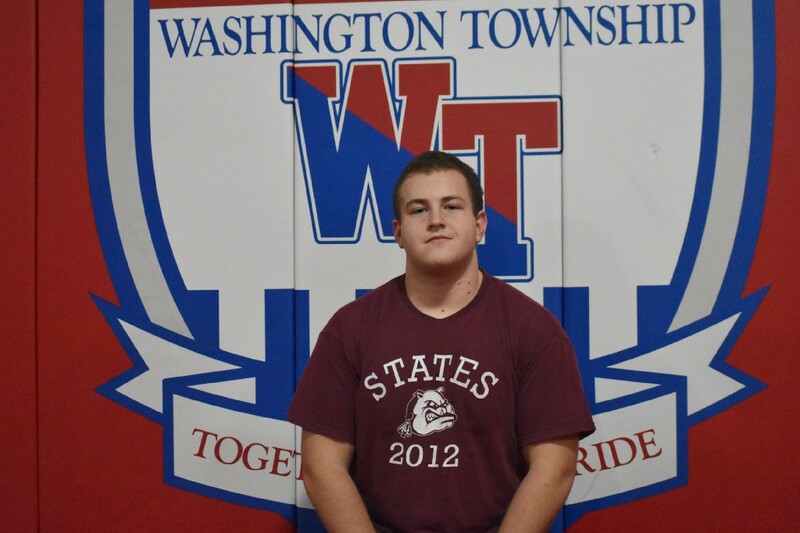 Dunn was recently named first team All-Olympic Conference, third team All-South Jersey, and third team All-State Group 5 for his work as a left tackle on the Minutemen football team. With a schedule full of honors courses and a strong GPA, Dunn shouldn’t have any trouble with his goal of continuing to play football at the next level. He’s had interest from Patriot League schools (Bucknell and Lehigh) and Ivy League programs, too — he was invited to a junior day event at the University of Pennsylvania this month. But his high school graduation is still more than 16 months away. Until then, Dunn will continue to set a positive example at Washington Township High School. “He’s literally a coach’s dream,” Ring said.